When I was a child, summer was my favourite time of year. I would wake up each morning knowing that the day was mine, that anything could happen, and that as long as I showed up relatively unscathed at mealtimes my mother would ask very few questions about how I was spending my time. My brothers and sisters and I explored, created, imagined, read, and ran free. Summertime felt endless and we were the luckiest of people. If I had to point to one factor in the successful development of my happily eccentric brain, it would be that yearly summer freedom. School can be hard and confining, especially for an active person with an unusual flavour of mind. I feel very strongly that summer programs for individuals on the autism spectrum should not be anything like the school year. As the old saying goes, "a change is as good as a rest", and summertime is perfect for releasing arbitrary structures and giving those unusual and interesting minds a chance to run free, led by their own curiosity, imagination and interests. E-mail #1: Kieran found the Usborne book "Playtime Activities" in his room. I explained that these were instructions on how to draw different things. 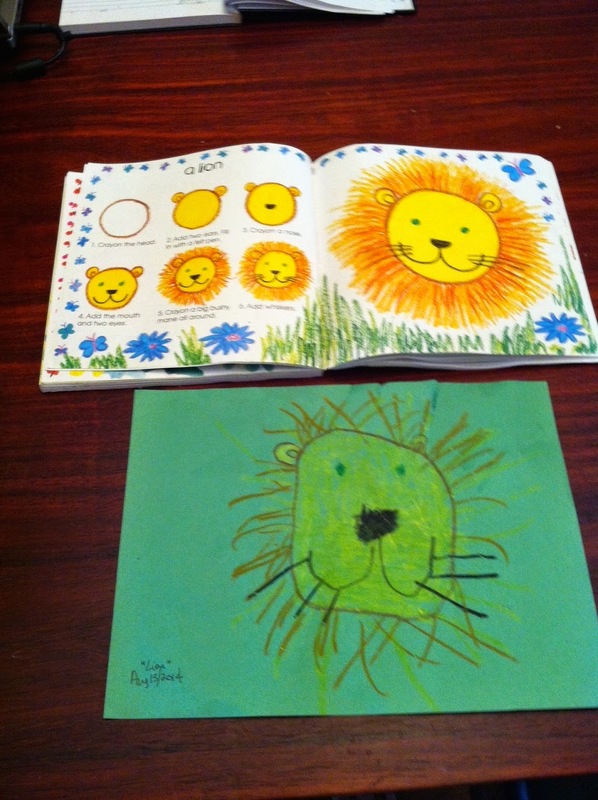 I love this lion he drew! 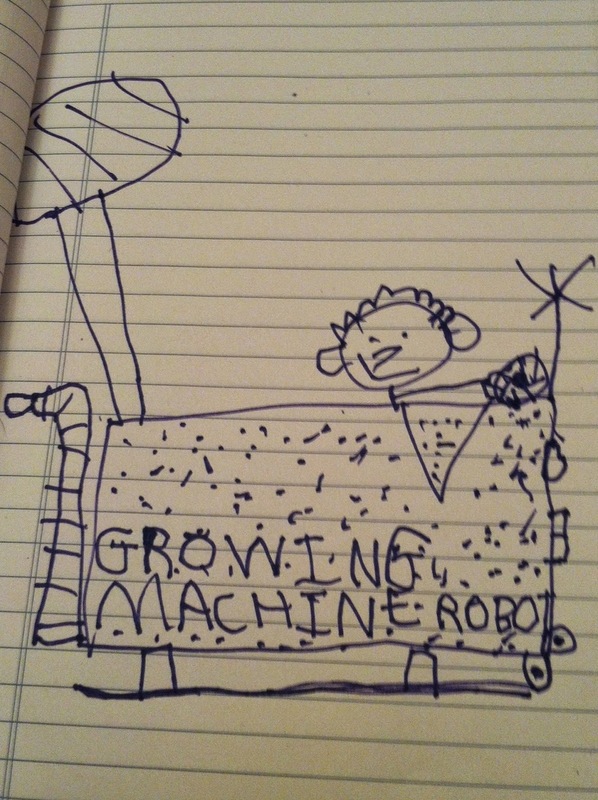 He has been talking to me about building a growing machine for the last few days, which I connected to one of the Little Critter stories (I think it's When I Get Bigger) ... I told him that he couldn't make a growing machine out of wood, but that he could make one out of Lego. I'm guessing he didn't like that idea and decided to draw one instead. I'm delighted that it made your day! 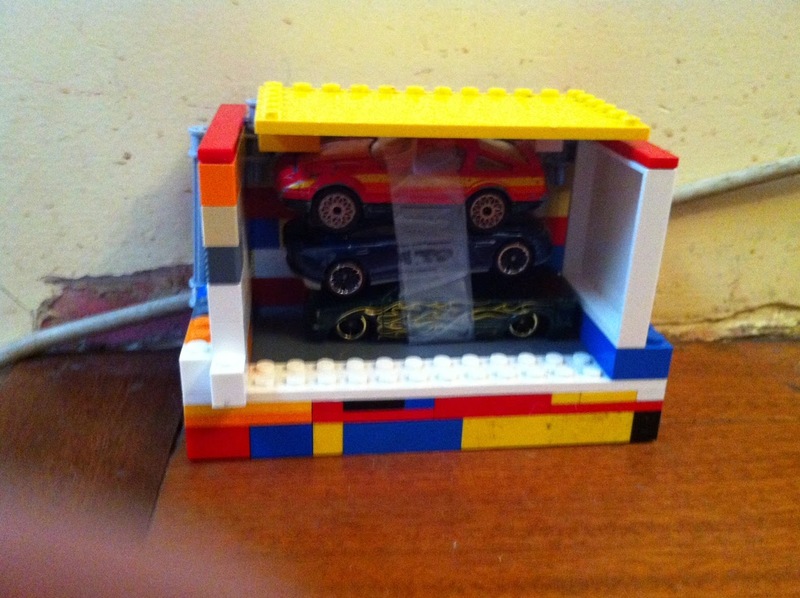 E-mail #3: Here's a car crusher that he built yesterday after watching Mighty Machines. The car crusher is lego and he wrapped some toy cars to crush. Your advice to let him have an unstructured summer was perfect. It is a damaging myth that people on the autism spectrum lack imagination and creativity (food for thought: read this blog post from Jonathan Alderson ). The development of creativity and imagination require less-structured (or unstructured) time and open-ended situations. When we fill up every minute in the day with "educational" activities, when we set up learning environments where there are limited "right" answers, when we allow no time for a person to follow their own interests and ideas, we stifle the growth of what is arguably the most important intellectual ability that humans can possess.